AT&T, one of the leading prepaid phone service providers in United States, announced the acquisition of Time Warner in the month of October and since then, the matter has been in the news quite frequently. Recently, the AT&T – Time Warner merger has made it to the hottest news again where the merger deal has been put under a cloud of doubt. In a letter to Jeff Sessions, the US Attorney General, a group of 11 Democratic senators have highlighted their objection to the acquisition proposal that AT&T made for Time Warner. The major issues raised by the senators are that the acquisition or merger is going to harm the American customers by laying heavily on their pockets and affecting their access to entertainment programs. The issues include high prices, harm to net neutrality, decreased competition, lack of choice for users, content discrimination, and more. According to the Democrats, the merger of Time Warner with the renowned mobile and home phone service provider can prove out to limit the competition among TV and mobile broadband providers. Also, the Democrats are concerned that the telecom behemoth and prepaid phone service provider AT&T might violate the principles of net neutrality by limiting the online and TV content of the competitors to its own network. “AT&T-Time Warner could prioritize Time Warner content, including HBO, over HBO’s competitors in the premium channels market, such as Starz and Showtime. While premium channels are working to reach subscribers through over the top (OTT) services, many Americans still access premium channels by selecting them when they purchase or update their Pay-TV service, such as AT&T-owned DIRECTV. Because AT&T-Time Warner would have an incentive to drive subscribers to HBO, the combined company could choose to not market, market less vigorously, or otherwise harm its premium channel competitors during the DIRECTV sign-up process, which AT&T controls”, says the letter in this regard. Democrats have drafted the letter and sent it to the Department of Justice because regulatory approval to the merger is still pending. Now, after bringing this letter into notice, the officials may or may not approve the merger of the huge prepaid phone service provider with Time Warner. Thus, the acquisition of Time Warner by AT&T is still under a cloud of doubt. It’s now in the hands of the Department of Justice. They can completely block the deal, can approve it, or approve it with terms and conditions. The giant mobile and home phone service provider will now have to wait and see what comes its way. For quite obvious reasons, AT&T denied everything that the letter had mentioned. In a statement, a spokesperson of the huge home phone service provider mentioned that the acquisition wouldn’t bring content discrimination but bring more choices for the consumers. It’s to be seen whether the DOJ takes the decision in favor of AT&T or against it. With the letter being circulated to authorities, a great buzz has brought the merger under a dark cloud of doubt. With President Donald Trump against the deal, the odds are against AT&T. Still, let’s wait and see what’s next for the AT&T – Time Warner deal. Earlier this month, the first phone by Essential was revealed. Essential is said to be a startup owned by the co-founder of Android – Andy Rubin. With this release, the Essential phone is expected to make a huge impact in the mobile phone industry. During the release of the phone, no names of the carriers delivering mobile and home telephone service were revealed for the partnerships with Essential. However, the latest buzz has it that Sprint is going to be the exclusive carrier for the Essential phone. The news came into the light when Niccolo de Masi, Essential President, revealed about the agreement, mentioning Sprint as the network of the future. Revealing the agreement with Sprint, Masi spoke with USA TODAY. “We like to bet where we think the market is going as opposed to where the market was,” he mentioned. “I feel like we are a new brand and a new consumer electronics company and we are partnering with the network of the future”, he added, referring to Sprint. According to Essential, the decision was based on a strategic plan. However, it’s a little hard to believe that Essential chose Sprint on purpose. It has been observed that most of the huge telecommunication companies and renowned mobile or home telephone service providers didn’t show any interests in Essential’s pitch. The reasons could be many! First off, when it comes to relying on a new OEM (Original Equipment Manufacturer), the telecommunication carriers providing mobile and long distance home phone service, become quite cautious. Thus, no large carriers budged for the latest Essential phone – the PH-1. The second reason might be that the big telecom carriers weren’t quite impressed with the pitch that Essential placed. It was thus, quite difficult for Essential to impress the carriers like Verizon and AT&T that have been playing as the lead mobile and home telephone service providers of the time, followed by T-Mobile. Contrary to this, Sprint has lost many subscribers in the past and thus, it has been taking the newer phones on board in a hope to boost its customer count. This is the reason that Sprint has recently become the only US carrier partner for HTC U11 and Blackberry KEYone. For a startup, Essential has a certain amount of risk in its future, calling Sprint its ‘Exclusive Carrier’. This might bring confusion to prospects thinking that they have to be on the Sprint network to get access to the Essential phones. This can be a misleading statement and things might turn out the way they did when Google released Pixel with Verizon as its exclusive carrier. By far, people aren’t aware that the phone is available at the Essential store as well, like Pixel was available at the Google Store, too. Sprint’s pricing for the Essential phone PH-1 hasn’t been announced yet. However, at the Essential online store, one can get the phone unlocked for $699. You can also get an accessory 360 camera along with the phone, for $50 extra. So, by far things seem a bit chaotic for Essential. It is yet to be seen if its choice for the mobile and long distance home phone service provider among the leading telecom companies will be fruitful or not. Have you been a prepaid wireless customer, whining about how you keep getting less services on your prepaid plans as the prices keep going up? Well, if you’re a Verizon customer, you’re going to stop whining for a little while as the telecommunications carrier has spiced up its prepaid plan! What’s New in Verizon’s Prepaid Plan? The unlimited prepaid plan offered by Verizon during the month of April surely brought a lot of traffic to its prepaid phone service. The plan introduced free data, calling, and text messaging to Verizon customers for $80 a month. However, with growing competition coming from different competing carriers, Verizon had to bring about some changes in its prepaid offerings to stay in line with the changing trends. So, starting on June 6th, 2017, the mobile and landline telephone service provider has cut prices of its prepaid plan and is also offering more data. Now, the data that the customers will get for $40 is increased to 3GB from 2GB, the one for $50 is increased to 7GB from 5GB, and the 10 GB plan stays as is in terms of data, however, the price has been reduced from $70 to $60 in the revised plan. Along with all these benefits, there is also a downside of the new changes in the plan. This painful downside is the 480p limit on video streaming! Yes, if you’re a Verizon customer and you go for this plan, you wouldn’t be able to stream videos in their HD state. The videos are limited to the quality of 480p by the prepaid phone service provider. And this goes with all tiers of the data that you pick in the plan. Also, the speed of your data is going to be limited to 128kbps after you’ve used up your monthly data allowance. This applies to customers that haven’t chosen the unlimited plan for their prepaid phone service from Verizon. But if you haven’t used up all your data by the end of the month, the leftover data will be carried over to your next monthly data plan. The carrier mentions that the customers using this plan are going to be prioritized over others in case of network congestion. The prepaid customers are also offered to use Verizon compatible phones. You can pick one from a great number of top choices like iPhone, Samsung Galaxy S8, etc. Verizon has also offered a $100 credit to customers that sign up for the Big Red prepaid plans. The credit is given after the end of 2 month’s billing period. We have seen how Verizon is facing a tough time from the other huge giant mobile and landline telephone service providers and so, it must come up with newer plans to keep its foot down in the market. The new changes made in the prepaid plans by Verizon seem amusing as more data is offered at less prices. 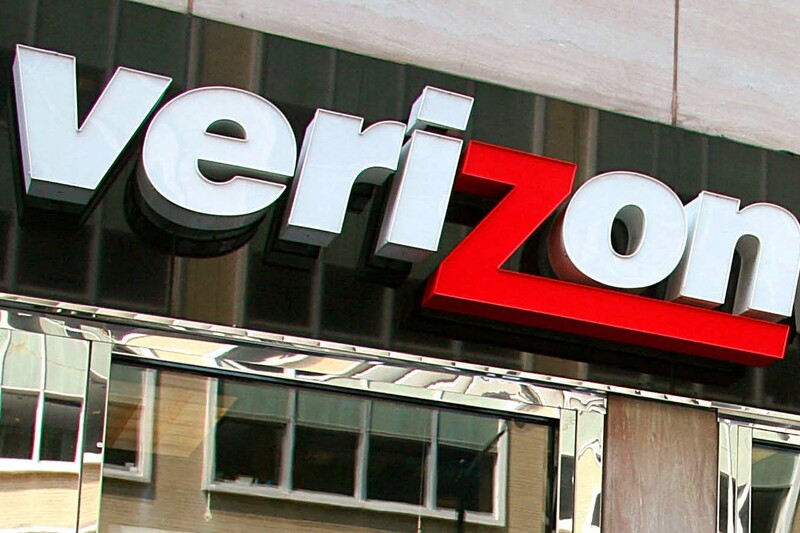 It has greater chances of bringing a lot of traffic to Verizon’s prepaid services. However, the 480p limit on videos might be an impediment in the plan’s success. So, let’s wait and see how it works out for Verizon! T-Mobile’s New Attack on Verizon: Will Things Actually Work? The third largest mobile and non-residential home telephone service provider in the US, T-Mobile, is staying relevant in the news headlines through its new strategies and challenges for its competitors. And yet again, the company has proved its point that it’s not going to stop! With a recent announcement, T-Mobile has put its new limited-time promotion to the forefront. This promotion targets the customers of Verizon Wireless. According to T-Mobile, if Verizon customers switch to its affordable telephone service, the carrier will pay the complete balance owed for their mobile devices including iPhone and Google Pixel. The amount to be paid can even be as much as $1000. “Switch and keep your eligible iPhone or Pixel. We’ll pay for it. That’s right, starting May 31st we’ll pay off what you owe on your phone via a prepaid card when you leave Verizon, join T-Mobile ONE™, and get PDP Plus” T-Mobile’s website says about the offer. The offer is valid for iPhone 7, 7 Plus, 6s, 6s Plus, iPhone SE, Google Pixel, and Google Pixel XL. The phones should be in a good working condition and must not be damaged. Also, Verizon customers must have their Verizon account details handy when they go to take advantage of the offer. The offer can easily be redeemed through any nearby T-Mobile store. The company will also provide early termination fee to the converting customers. However, the offer is valid only for Verizon customers that are have been using the network for more than 60 days. Along with the offer, the carrier needs the customers to commit to the $15 monthly plan for device protection, which can later be canceled. With this, the entire offer creates a great margin for T-Mobile, making it sound quite profitable to the company. The offer, by the growing mobile and non-residential home telephone service provider, is seen as one of the best promotional offers by a telecommunication carrier and it has created quite a buzz in the market. The promotional offer is a great win for both the customer and the company. For T-Mobile, it can turn out to be a goldmine as it is targeting the high-value customers that are already using the high-priced mobile phones – iPhone and Google Pixel. This clearly shows that T-Mobile is expanding its customer base of affordable telephone service to the customers who can afford its expensive mobile plans. These customers are said to be the ones with a high Average Revenue per User (ARPU). T-Mobile has been creating waves for Verizon for a long time now. We have seen in previous scenarios that the growing mobile and non-residential home telephone service provider has brought Verizon a lot of loss. With yet another breaking offer, T-Mobile probably has woken up Verizon officials who are bound to put their thinking caps on now and come with a better offer. If Verizon doesn’t snap into action soon, it might lose a number of its high-value customers. However, we’re yet to see how the offer works for T-Mobile. So, let’s just wait and see!